Many retirees look forward to continuing their service after retirement. Our retirees should know that there are time and earnings restrictions on re-employment with a Massachusetts public employer. The retirement law limits the employment of all retired public employees who work in the public sector after retirement to 960 hours of employment within a calendar year. The “public sector” is defined as the Commonwealth of Massachusetts and its political subdivisions, including municipalities, authorities and districts that provide retirement benefits for employees under Massachusetts General Laws Chapter 32. The restriction does not apply to federal employment or public service rendered in another state. In addition to the hours limitation, there is an earnings limitation. The law prohibits a retiree from receiving post-retirement wages from public employment which, when combined with the retiree’s allowance, is in excess of what the retiree would have earned in the position from which he or she retired. Excess payments must be refunded to the employer or to the retirement system. 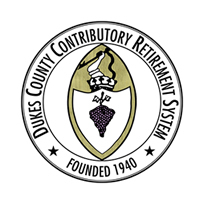 Commencing the next January 1st following twelve months of retirement, the retiree is allowed to earn the difference between the salary paid in the retiree’s former position minus the retiree’s allowance, plus an additional $15,000. If a retiree reaches the 960 hour limitation prior to reaching the new excess earnings limitation, the retiree must stop working. The hours and earnings limitations apply to all retirees of this system. They do not apply to survivors or beneficiaries. If you are a non-disability retiree, you can earn unlimited salary in the private sector with no impact upon your retirement allowance. If you are a disability retiree, however, you are still limited to earning the difference between the current salary for your former position and your retirement allowance, plus $15,000. In addition to the time and earnings limitations, all disability retirees are required to submit a statement of their earnings each year. PERAC mails disability retirees an Annual Statement of Earned Income every January which must be completed and returned on or before April 15th of each year. Failure to do so will jeopardize the continued receipt of retirement benefits.